This Green Angel Rhinestone Brooch features a beautiful stylized angel wearing a cream dress with a green awareness ribbon made out of rhinestones on her heart. She also holds a green rhinestone heart above her head. 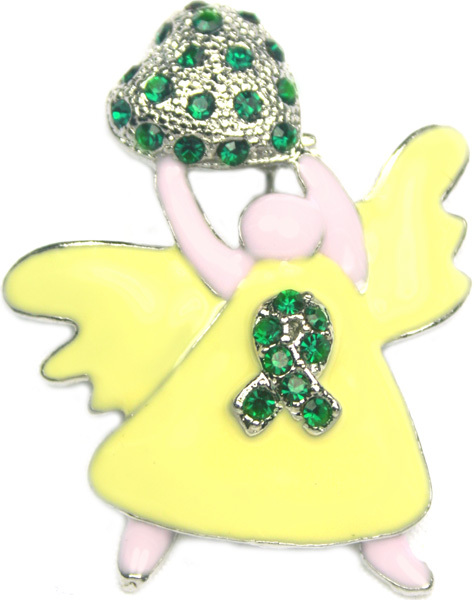 A wonderful way to show your support for all the "Green Ribbon" causes including Mental Health awareness and Environmental Awareness.